Departing from the monarchical tradition of Britain, the founding fathers of the United States created a system in which the American people had the power and responsibility to select their leader. Under this new order, George Washington, the first U.S. president, was elected in 1789. At the time, only white men who owned property could vote, but the 15th, 19th and 26th Amendments to the Constitution have since expanded the right of suffrage to all citizens over 18. Taking place every four years, presidential campaigns and elections have evolved into a series of fiercely fought, and sometimes controversial, contests, now played out in the 24-hour news cycle.The stories behind each election—some ending in landslide victories, others decided by the narrowest of margins—provide a roadmap to the events of U.S. history. The first presidential election was held on the first Wednesday of January in 1789. 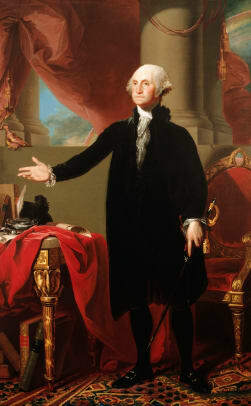 No one contested the election of George Washington, but he remained reluctant to run until the last minute, in part because he believed seeking the office would be dishonorable. Only when Alexander Hamilton and others convinced him that it would be dishonorable to refuse did he agree to run. The Constitution allowed each state to decide how to choose its presidential electors. In 1789, only Pennsylvania and Maryland held elections for this purpose; elsewhere, the state legislatures chose the electors. This method caused some problems in New York, which was so divided between Federalists who supported the new Constitution and Antifederalists who opposed it that the legislature failed to choose either presidential electors or U.S. senators. Before the adoption of the Twelfth Amendment, each elector cast two votes for president. The candidate with a majority won the presidency, and the runner-up became vice president. Most Federalists agreed that John Adams should be vice president. But Hamilton feared that if Adams was the unanimous choice, he would end in a tie with Washington and might even become president, an outcome that would be highly embarrassing for both Washington and the new electoral system. Hamilton therefore arranged that a number of votes be deflected, so that Adams was elected by less than half the number of Washington’s expected unanimous vote. The final results were Washington, 69 electoral votes; Adams, 34; John Jay, 9; John Hancock, 4; and others, 22. As in 1789, persuading George Washington to run was the major difficulty in selecting a president in 1792. Washington complained of old age, sickness, and the increasing hostility of the Republican press toward his administration. The press attacks were symptomatic of the increasing split within the government between Federalists, who were coalescing around Treasury Secretary Alexander Hamilton, and Republicans, forming around Secretary of State Thomas Jefferson. James Madison, among others, convinced Washington to continue as president by arguing that only he could hold the government together. Speculation then shifted to the vice presidency. Hamilton and the Federalists supported the reelection of John Adams. Republicans favored New York governor George Clinton, but Federalists feared him partly because of a widespread belief that his recent election to the governorship was fraudulent. In addition, the Federalists feared that Clinton would belittle the importance of the federal government by retaining his governorship while serving as vice president. Adams won relatively easily with support from New England and the Mid-Atlantic states, except New York. Only electoral votes are recorded here, because most states still did not select presidential electors by popular vote. Nor was there a separate vote for president and vice president until the Twelfth Amendment took effect in 1804. The results were Washington, 132 electoral votes (unanimous); Adams, 77; Clinton, 50; Jefferson, 4; and Aaron Burr, 1. The 1796 election, which took place against a background of increasingly harsh partisanship between Federalists and Republicans, was the first contested presidential race. The Republicans called for more democratic practices and accused the Federalists of monarchism. The Federalists branded the Republicans “Jacobins” after Robespierre’s faction in France. (The Republicans sympathized with revolutionary France, but not necessarily with the Jacobins.) The Republicans opposed John Jay’s recently negotiated accommodationist treaty with Great Britain, whereas the Federalists believed its terms represented the only way to avoid a potentially ruinous war with Britain. Republicans favored a decentralized agrarian republic; Federalists called for the development of commerce and industry. State legislatures still chose electors in most states, and there was no separate vote for vice president. Each elector cast two votes for president, with the runner-up becoming vice president. The Federalists nominated Vice President John Adams and tried to attract southern support by running Thomas Pinckney of South Carolina for the second post. Thomas Jefferson was the Republican standard-bearer, with Aaron Burr as his running mate. Alexander Hamilton, always intriguing against Adams, tried to throw some votes to Jefferson in order to elect Pinckney president. 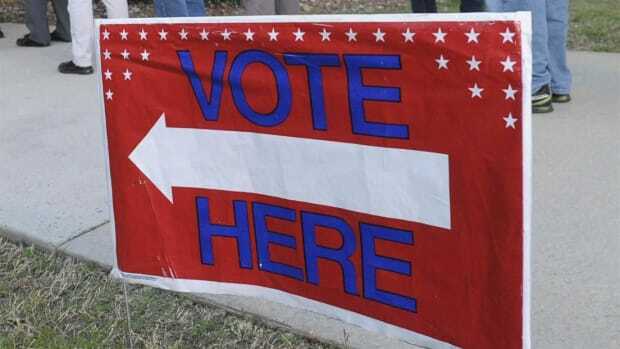 Instead, Adams won with 71 votes; Jefferson became vice president, with 68; Pinckney came in third with 59; Burr received only 30; and 48 votes went to various other candidates. The significance of the 1800 election lay in the fact that it entailed the first peaceful transfer of power between parties under the U.S. Constitution: Republican Thomas Jefferson succeeded Federalist John Adams. This peaceful transfer occurred despite defects in the Constitution that caused a breakdown of the electoral system. During the campaign, Federalists attacked Jefferson as an un-Christian deist, tainted by his sympathy for the increasingly bloody French Revolution. Republicans (1) criticized the Adams administration’s foreign, defense, and internal security policies; (2) opposed the Federalist naval buildup and the creation of a standing army under Alexander Hamilton; (3) sounded a call for freedom of speech, Republican editors having been targeted for prosecution under the Alien and Sedition Acts; and (4) denounced deficit spending by the federal government as a backhanded method of taxation without representation. 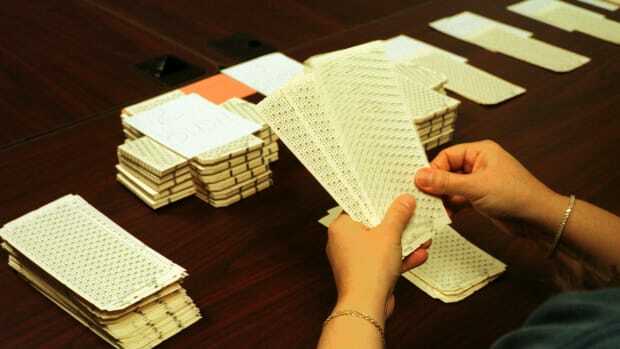 Unfortunately, the system still provided no separate votes for president and vice president, and Republican managers failed to deflect votes from their vice-presidential candidate, Aaron Burr. Therefore, Jefferson and Burr tied with 73 votes each; Adams received 65 votes, his vice-presidential candidate, Charles C. Pinckney, 64, and John Jay, 1. This result threw the election into the House of Representatives, where each state had one vote, to be decided by the majority of its delegation. Left to choose between Jefferson and Burr, most Federalists supported Burr. Burr for his part disclaimed any intention to run for the presidency, but he never withdrew, which would have ended the contest. Although the Republicans in the same election had won a decisive majority of 65 to 39 in the House, election of the president fell to the outgoing House, which had a Federalist majority. But despite this majority, two state delegations split evenly, leading to another deadlock between Burr and Jefferson. After the House cast 19 identical tie ballots on February 11, 1801, Governor James Monroe of Virginia assured Jefferson that if a usurpation was attempted, he would call the Virginia Assembly into session, implying that they would discard any such result. After six days of uncertainty, Federalists in the tied delegations of Vermont and Maryland abstained, electing Jefferson, but without giving him open Federalist support. The 1804 election was a landslide victory for the incumbent Thomas Jefferson and vice-presidential candidate George Clinton (Republicans) over the Federalist candidates, Charles C. Pinckney and Rufus King. The vote was 162-14. The election was the first held under the Twelfth Amendment, which separated electoral college balloting for president and vice president. The Federalists alienated many voters by refusing to commit their electors to any particular candidate prior to the election. Jefferson was also helped by the popularity of the 1803 Louisiana Purchase and his reduction of federal spending. The repeal of the excise tax on whiskey was especially popular in the West. Republican James Madison was elevated to the presidency in the election of 1808. Madison won 122 electoral votes to Federalist Charles C. Pinckney’s 47 votes. Vice President George Clinton received 6 electoral votes for president from his native New York, but easily defeated Federalist Rufus King for vice president, 113-47, with scattered vice-presidential votes for Madison, James Monroe, and John Langdon of New Hampshire. In the early stages of the election campaign, Madison also faced challenges from within his own party by Monroe and Clinton. The main issue of the election was the Embargo Act of 1807. The banning of exports had hurt merchants and other commercial interests, although ironically it encouraged domestic manufactures. These economic difficulties revived the Federalist opposition, especially in trade-dependent New England. In the 1812 contest James Madison was reelected president by the narrowest margin of any election since the Republican party had come to power in 1800. He received 128 electoral votes to 89 for his Federalist opponent DeWitt Clinton, the lieutenant governor of New York. Elbridge Gerry of Massachusetts won the vice presidency with 131 votes to Jared Ingersoll’s 86. The War of 1812, which had begun five months earlier, was the dominant issue. Opposition to the war was concentrated in the northeastern Federalist states. Clinton’s supporters also made an issue of Virginia’s almost unbroken control of the White House, which they charged favored agricultural states over commercial ones. Clintonians accused Madison, too, of slighting the defense of the New York frontier against the British in Canada. In the Northeast Madison carried only Pennsylvania and Vermont, but Clinton received no votes south of Maryland. The election proved to be the last one of significance for the Federalist party, largely owing to anti-British American nationalism engendered by the war. In this election Republican James Monroe won the presidency with 183 electoral votes, carrying every state except Massachusetts, Connecticut, and Delaware. Federalist Rufus King received the votes of the 34 Federalist electors. Daniel D. Tompkins of New York was elected vice president with 183 electoral votes, his opposition scattered among several candidates. After the bitter partisanship of the Jefferson and Madison administrations, Monroe came to symbolize the “Era of Good Feelings.” Monroe was not elected easily, however; he barely won the nomination in the Republican congressional caucus over Secretary of War William Crawford of Georgia. Many Republicans objected to the succession of Virginia presidents and believed Crawford a superior choice to the mediocre Monroe. The caucus vote was 65-54. The narrowness of Monroe’s victory was surprising because Crawford had already renounced the nomination, perhaps in return for a promise of Monroe’s future support. In the general election, opposition to Monroe was disorganized. The Hartford Convention of 1814 (growing out of opposition to the War of 1812) had discredited the Federalists outside their strongholds, and they put forth no candidate. To some extent, Republicans had siphoned off Federalist support with nationalist programs like the Second Bank of the United States. During James Monroe’s first term, the country had suffered an economic depression. In addition, the extension of slavery into the territories became a political issue when Missouri sought admission as a slave state. Also causing controversy were Supreme Court decisions in the Dartmouth College case and McCulloch v. Maryland, which expanded the power of Congress and of private corporations at the expense of the states. But despite these problems, Monroe faced no organized opposition for reelection in 1820, and the opposition party, the Federalists, ceased to exist. Voters, as John Randolph put it, displayed “the unanimity of indifference, and not of approbation.” Monroe won by an electoral vote of 231-1. William Plumer of New Hampshire, the one elector who voted against Monroe, did so be-cause he thought Monroe was incompetent. He cast his ballot for John Quincy Adams. Later in the century, the fable arose that Plumer had cast his dissenting vote so that only George Washington would have the honor of unanimous election. Plumer never mentioned Washington in his speech explaining his vote to the other New Hampshire electors. The Republican party broke apart in the 1824 election. A large majority of the states now chose electors by popular vote, and the people’s vote was considered sufficiently important to record. The nomination of candidates by congressional caucus was discredited. Groups in each state nominated candidates for the presidency, resulting in a multiplicity of favorite-son candidacies. By the fall of 1824 four candidates remained in the running. William Crawford of Georgia, the secretary of the treasury, had been the early front-runner, but severe illness hampered his candidacy. Secretary of State John Quincy Adams of Massachusetts had a brilliant record of government service, but his Federalist background, his cosmopolitanism, and his cold New England manner cost him support outside his own region. Henry Clay of Kentucky, the Speaker of the House of Representatives, and Andrew Jackson of Tennessee, who owed his popularity to his 1815 victory over the British at the Battle of New Orleans, were the other candidates. John C. Calhoun was chosen vice president by the electoral college with a majority of 182 votes. Andrew Jackson won the presidency in 1828 by a landslide, receiving a record 647,292 popular votes (56 percent) to 507,730 (44 percent) for the incumbent John Quincy Adams. John C. Calhoun won the vice presidency with 171 electoral votes to 83 for Richard Rush and 7 for William Smith. The emergence of two parties promoted popular interest in the election. Jackson’s party, sometimes called the Democratic-Republicans or simply Democrats, developed the first sophisticated national network of party organizations. Local party groups sponsored parades, barbecues, tree plantings, and other popular events designed to promote Jackson and the local slate. The National-Republicans, the party of Adams and Henry Clay, lacked the local organizations of the Democrats, but they did have a clear platform: high tariffs, federal funding of roads, canals, and other internal improvements, aid to domestic manufactures, and development of cultural institutions. The 1828 election campaign was one of the dirtiest in America’s history. Both parties spread false and exaggerated rumors about the opposition. Jackson men charged that Adams obtained the presidency in 1824 through a “corrupt bargain” with Clay. And they painted the incumbent president as a decadent aristocrat, who had procured prostitutes for the czar while serving as U.S. minister to Russia and spent taxpayer money on “gambling” equipment for the White House (actually a chess set and a billiard table). The National-Republicans portrayed Jackson as a violent frontier ruffian, the son, some said, of a prostitute married to a mulatto. When Jackson and his wife, Rachel, married, the couple believed that her first husband had obtained a divorce. After learning the divorce had not yet been made final, the couple held a second, valid wedding. Now the Adams men claimed Jackson was a bigamist and an adulterer. More justifiably, administration partisans questioned Jackson’s sometimes violent discipline of the army in the War of 1812 and the brutality of his invasion of Florida in the Seminole War. Ironically, Secretary of State Adams had defended Jackson at the time of the Seminole War, taking advantage of Jackson’s unauthorized incursion to obtain Florida for the United States from Spain. Democratic-Republican Andrew Jackson was reelected in 1832 with 688,242 popular votes (54.5 percent) to 473,462 (37.5 percent) for National-Republican Henry Clay and 101,051 (8 percent) for Anti-Masonic candidate William Wirt. Jackson easily carried the electoral college with 219 votes. Clay received only 49, and Wirt won the 7 votes of Vermont. Martin Van Buren won the vice presidency with 189 votes against 97 for various other candidates. The spoils system of political patronage, the tariff, and federal funding of internal improvements were major issues, but the most important was Jackson’s veto of the rechartering of the Bank of the United States. National-Republicans attacked the veto, arguing that the Bank was needed to maintain a stable currency and economy. “King Andrew’s” veto, they asserted, was an abuse of executive power. In defense of Jackson’s veto, Democratic-Republicans labeled the Bank an aristocratic institution–a “monster.” Suspicious of banking and of paper money, Jacksonians opposed the Bank for giving special privileges to private investors at government expense and charged that it fostered British control of the American economy. For the first time in American politics, a third party, the Anti-Masons, challenged the two major parties. Many politicians of note participated, including Thaddeus Stevens, William H. Seward, and Thurlow Weed. The Anti-Masonic party formed in reaction to the murder of William Morgan, a former upstate New York Freemason. Allegedly, some Masons murdered Morgan when he threatened to publish some of the order’s secrets. The Anti-Masons protested Masonic secrecy. They feared a conspiracy to control American political institutions, a fear fed by the fact that both the major party candidates, Jackson and Clay, were prominent Masons. The Anti-Masons convened the first national presidential nominating convention in Baltimore on September 26, 1831. The other parties soon followed suit, and the convention replaced the discredited caucus system of nomination. Disdaining the organized politics of the Democrats, the new Whig party ran three candidates, each strong in a different region: Hugh White of Tennessee, Senator Daniel Webster of Massachusetts, and Gen. William Henry Harrison of Indiana. Besides endorsing internal improvements and a national bank, the Whigs tried to tie Democrats to abolitionism and sectional tension, and attacked Jackson for “acts of aggression and usurpation of power.” Democrats depended on Jackson’s popularity, trying to maintain his coalition. Van Buren won the election with 764,198 popular votes, only 50.9 percent of the total, and 170 electoral votes. Harrison led the Whigs with 73 electoral votes, White receiving 26 and Webster 14. Willie P. Mangum of South Carolina received his state’s 11 electoral votes. Johnson, who failed to win an electoral majority, was elected vice president by the Democratic Senate. Aware that Van Buren’s problems gave them a good chance for victory, the Whigs rejected the candidacy of Henry Clay, their most prominent leader, because of his support for the unpopular Second Bank of the United States. Instead, stealing a page from the Democratic emphasis on Andrew Jackson’s military exploits, they chose William Henry Harrison, a hero of early Indian wars and the War of 1812. The Whig vice-presidential nominee was John Tyler, a onetime Democrat who had broken with Jackson over his veto of the bill rechartering the Second Bank. Studiously avoiding divisive issues like the Bank and internal improvements, the Whigs depicted Harrison as living in a “log cabin” and drinking “hard cider.” They used slogans like “Tippecanoe and Tyler too,” and “Van, Van, Van/Van is a used-up man” to stir voters. Harrison won by a popular vote of 1,275,612 to 1,130,033, and an electoral margin of 234 to 60. But the victory proved to be a hollow one because Harrison died one month after his inauguration. Tyler, his successor, would not accept Whig economic doctrine, and the change in presidential politics had little effect on presidential policy. The election of 1844 introduced expansion and slavery as important political issues and contributed to westward and southern growth and sectionalism. Southerners of both parties sought to annex Texas and expand slavery. Martin Van Buren angered southern Democrats by opposing annexation for that reason, and the Democratic convention cast aside the ex-president and front-runner for the first dark horse, Tennessee’s James K. Polk. After almost silently breaking with Van Buren over Texas, Pennsylvania’s George M. Dallas was nominated for vice president to appease Van Burenites, and the party backed annexation and settling the Oregon boundary dispute with England. The abolitionist Liberty party nominated Michigan’s James G. Birney. Trying to avoid controversy, the Whigs nominated anti-annexationist Henry Clay of Kentucky and Theodore Frelinghuysen of New Jersey. But, pressured by southerners, Clay endorsed annexation, although concerned it might cause war with Mexico and disunion, and thereby lost support among antislavery Whigs. Enough New Yorkers voted for Birney to throw 36 electoral votes and the election to Polk, who won the electoral college, 170-105, and a slim popular victory. John Tyler signed a joint congressional resolution admitting Texas, but Polk pursued Oregon, and then northern Mexico in the Mexican War, aggravating tension over slavery and sectional balance and leading toward the Compromise of 1850. The election of 1848 underscored the increasingly important role of slavery in national politics. Democratic president James K. Polk did not seek reelection. His party nominated Senator Lewis Cass of Michigan, who created the concept of squatter, or popular, sovereignty (letting the settlers of a territory decide whether to permit slavery), with Gen. William O. Butler of Kentucky for vice president. Antislavery groups formed the Free-Soil party, whose platform promised to prohibit the spread of slavery, and chose former president Martin Van Buren of New York for president and Charles Francis Adams, the son of President John Quincy Adams, of Massachusetts for vice president. The Whig nominee was the Mexican War hero, Gen. Zachary Taylor, a slave owner. His running mate was Millard Fillmore, a member of New York’s proslavery Whig faction. The 1852 election rang a death knell for the Whig party. Both parties split over their nominee and the issue of slavery. After forty-nine ballots of jockeying among Senator Lewis Cass of Michigan, former secretary of state James Buchanan of Pennsylvania, and Senator Stephen A. Douglas of Illinois, the Democrats nominated a compromise choice, Franklin Pierce of New Hampshire, a former congressman and senator, with Senator William R. King of Alabama as his running mate. The Whigs rejected Millard Fillmore, who had become president when Taylor died in 1850, and Secretary of State Daniel Webster and nominated Gen. Winfield Scott of Virginia, with Senator William A. Graham of New Jersey for vice president. When Scott endorsed the party platform, which approved of the Fugitive Slave Law of 1850, Free-Soil Whigs bolted. They nominated Senator John P. Hale of New Hampshire for president and former congressman George Washington Julian of Indiana for vice president. Southern Whigs were suspicious of Scott, whom they saw as a tool of antislavery senator William H. Seward of New York. Democratic unity, Whig disunity, and Scott’s political ineptitude combined to elect Pierce. “Young Hickory of the Granite Hills” outpolled “Old Fuss and Feathers” in the electoral college, 254 to 42, and in the popular vote, 1,601,474 to 1,386,578. The 1856 election was waged by new political coalitions and was the first to confront directly the issue of slavery. The violence that followed the Kansas-Nebraska Act destroyed the old political system and past formulas of compromises. The Whig party was dead. Know-Nothings nominated Millard Fillmore to head their nativist American party and chose Andrew J. Donelson for vice president. The Democratic party, portraying itself as the national party, nominated James Buchanan for president and John C. Breckinridge for vice president. Its platform supported the Kansas-Nebraska Act and noninterference with slavery. This election saw the emergence of a new, sectional party composed of ex-Whigs, Free-Soil Democrats, and antislavery groups. The Republican party opposed the extension of slavery and promised a free-labor society with expanded opportunities for white workers. It nominated military hero, John C. Frémont of California for president and William L. Dayton for vice president. The campaign centered around “Bleeding Kansas.” The battle over the concept of popular sovereignty sharpened northern fears about the spread of slavery and southern worries about northern interference. The physical assault by Congressman Preston S. Brooks of South Carolina on Senator Charles Sumner of Massachusetts on the floor of the Senate heightened northern resentment of southern aggressiveness. Although the Democratic candidate, Buchanan, won with 174 electoral votes and 1,838,169 votes, the divided opposition gained more popular votes. The Republican party captured 1,335,264 votes and 114 in the electoral college, and the American party received 874,534 popular and 8 electoral votes. The Republicans’ impressive showing–carrying eleven of sixteen free states and 45 percent of northern ballots–left the South feeling vulnerable to attacks on slavery and fearful the Republicans would soon capture the government. At the Republican convention, front-runner William H. Seward of New York faced insurmountable obstacles: conservatives feared his radical statements about an “irrepressible conflict” over slavery and a “higher law” than the Constitution, and radicals doubted his moral scruples. Hoping to carry moderate states like Illinois and Pennsylvania, the party nominated Abraham Lincoln of Illinois for president and Senator Hannibal Hamlin of Maine for vice president. The Republican platform called for a ban on slavery in the territories, internal improvements, a homestead act, a Pacific railroad, and a tariff. By carrying almost the entire North, Lincoln won in the electoral college with 180 votes to 72 for Breckinridge, 39 for Bell, and 12 for Douglas. Lincoln won a popular plurality of about 40 percent, leading the popular vote with 1,766,452 to 1,376,957 for Douglas, 849,781 for Breckinridge, and 588,879 for Bell. With the election of a sectional northern candidate, the Deep South seceded from the Union, followed within a few months by several states of the Upper South. 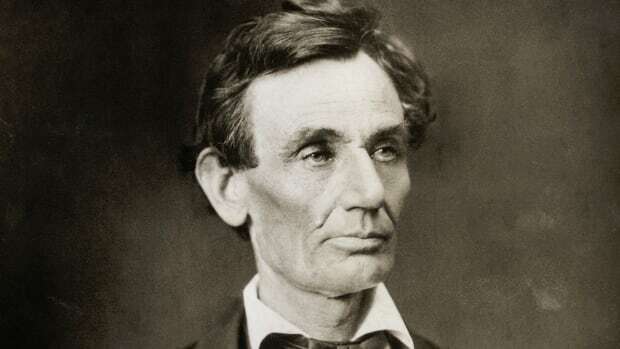 The contest in the midst of the Civil War pitted President Abraham Lincoln against Democrat George B. McClellan, the general who had commanded the Army of the Potomac until his indecision and delays caused Lincoln to remove him. The vice-presidential candidates were Andrew Johnson, Tennessee’s military governor who had refused to acknowledge his state’s secession, and Representative George Pendleton of Ohio. At first, Radical Republicans, fearing defeat, talked of ousting Lincoln in favor of the more ardently antislavery secretary of the treasury Salmon P. Chase, or Generals John C. Frémont or Benjamin F. Butler. But in the end they fell in behind the president. The Republicans attracted Democratic support by running as the Union party and putting Johnson, a pro-war Democrat, on the ticket. McClellan repudiated the Democratic platform’s call for peace, but he attacked Lincoln’s handling of the war. Lincoln won in a landslide, owing partly to a policy of letting soldiers go home to vote. But the military successes of Generals Ulysses S. Grant in Virginia and William T. Sherman in the Deep South were probably more important. He received 2,206,938 votes to McClellan’s 1,803,787. The electoral vote was 212 to 21. Democrats did better in state elections. In this contest, Republican Ulysses S. Grant opposed Horace Seymour, the Democratic governor of New York. Their respective running mates were Speaker of the House Schuyler Colfax of Indiana and Francis P. Blair of Missouri. The Democrats attacked the Republican management of Reconstruction and black suffrage. Grant, a moderate on Reconstruction, was accused of military despotism and anti-Semitism, and Colfax, of nativism and possible corruption. Besides criticizing Seymour’s support for inflationary greenback currency and Blair’s reputed drunkenness and his opposition to Reconstruction, the Republicans questioned the wartime patriotism of all Democrats. Grant won the popular vote, 3,012,833 to 2,703,249, and carried the electoral college by 214 to 80. Seymour carried only eight states, but ran fairly well in many others, especially in the South. The election showed that despite his popularity as a military hero, Grant was not invincible. His margin of victory came from newly enfranchised southern freedmen, who supplied him with about 450,000 votes. The Democrats had named a weak ticket and attacked Reconstruction rather than pursuing economic issues, but revealed surprising strength. President Ulysses S. Grant ran against New YorkTribune editor Horace Greeley in 1872. Greeley headed an uneasy coalition of Democrats and liberal Republicans. Despite Greeley’s history of attacking Democrats, that party endorsed him for the sake of expediency. The vice-presidential candidates were Republican senator Henry Wilson of Massachusetts and Governor B. Gratz Brown of Missouri. Disaffected by Grant administration corruption and the controversy over Reconstruction, Greeley ran on a platform of civil service reform, laissez-faire liberalism, and an end to Reconstruction. The Republicans came out for civil service reform and the protection of black rights. They attacked Greeley’s inconsistent record and his support of utopian socialism and Sylvester Graham’s dietary restrictions. Thomas Nast’s anti-Greeley cartoons in Harper’s Weekly attracted wide attention. Grant won the century’s biggest Republican popular majority, 3,597,132 to 2,834,125. The electoral college vote was 286 to 66. Actually, the result was more anti-Greeley than pro-Grant. In 1876 the Republican party nominated Rutherford B. Hayes of Ohio for president and William A. Wheeler of New York for vice president. The Democratic candidates were Samuel J. Tilden of New York for president and Thomas A. Hendricks of Indiana for vice president. Several minor parties, including the Prohibition party and the Greenback party, also ran candidates. The country was growing weary of Reconstruction policies, which kept federal troops stationed in several southern states. Moreover, the Grant administration was tainted by numerous scandals, which caused disaffection for the party among voters. In 1874 the House of Representatives had gone Democratic; political change was in the air. Samuel Tilden won the popular vote, receiving 4,284,020 votes to 4,036,572 for Hayes. In the electoral college Tilden was also ahead 184 to 165; both parties claimed the remaining 20 votes. The Democrats needed only 1 more vote to capture the presidency, but the Republicans needed all 20 contested electoral votes. Nineteen of them came from South Carolina, Louisiana, and Florida–states that the Republicans still controlled. Protesting Democratic treatment of black voters, Republicans insisted that Hayes had carried those states but that Democratic electors had voted for Tilden. Two sets of election returns existed–one from the Democrats, one from the Republicans. Congress had to determine the authenticity of the disputed returns. Unable to decide, legislators established a fifteen-member commission composed of ten congressmen and five Supreme Court justices. The commission was supposed to be nonpartisan, but ultimately it consisted of eight Republicans and seven Democrats. The final decision was to be rendered by the commission unless both the Senate and the House rejected it. The commission accepted the Republican vote in each state. The House disagreed, but the Senate concurred, and Hayes and Wheeler were declared president and vice president. In the aftermath of the commission’s decision, the federal troops that remained in the South were withdrawn, and southern leaders made vague promises regarding the rights of the 4 million African-Americans living in the region. The election of 1880 was as rich in partisan wrangling as it was lacking in major issues. Factional rivalry in the Republican party between New York senator Roscoe Conkling’s Stalwarts and Half-Breed followers of James G. Blaine resulted in a convention in which neither Blaine nor the Stalwart choice, former president Ulysses S. Grant, could gain the nomination. On the thirty-sixth ballot, a compromise choice, Senator James A. Garfield of Ohio, was nominated. Stalwart Chester A. Arthur of New York was chosen as his running mate to mollify Conkling’s followers. The Democrats selected Civil War general Winfield Scott Hancock, a man of modest abilities, because he was less controversial than party leaders like Samuel Tilden, Senator Thomas Bayard, or Speaker of the House Samuel Randall. Former Indiana congressman William English served as Hancock’s running mate. In the campaign, Republicans “waved the bloody shirt,” ridiculed Hancock for referring to the tariff as a “local question,” and quite possibly purchased their narrow but crucial victory in Indiana. Democrats attacked Garfield’s ties to the Crédit Mobilier scandal and circulated the forged “Morey Letter” that “proved” he was soft on Chinese exclusion. Turnout was high on election day (78.4 percent), but the result was one of the closest in history. Garfield carried the electoral college, 214-155, but his popular majority was less than 10,000 (4,454,416 to Hancock’s 4,444,952). Greenback-Labor candidate James Weaver garnered 308,578 votes. Outside the southern and border states, Hancock carried only New Jersey, Nevada, and 5 of 6 California electoral votes. This race, marred by negative campaigning and corruption, ended in the election of the first Democratic president since 1856. The Republicans split into three camps: dissident reformers, called the Mugwumps, who were opposed to party and government graft; Stalwarts, Ulysses S. Grant supporters who had fought civil service reform; and Half-Breeds, moderate reformers and high-tariff men loyal to the party. The Republicans nominated James G. Blaine of Maine, a charismatic former congressman and secretary of state popular for his protectionism, but of doubtful honesty because of his role in the scandal of the “Mulligan letters” in the 1870s. His running mate was one of his opponents, Senator John Logan of Illinois. This gave Democrats a chance to name a ticket popular in New York, where Stalwart senator Roscoe Conkling had a long-running feud with Blaine, and they took advantage of it. They chose New York governor Grover Cleveland, a fiscal conservative and civil service reformer, for president and Senator Thomas Hendricks of Indiana for vice president. The campaign was vicious. The Republican reformers and the traditionally Republican New York Times opposed Blaine. When it became known that Cleveland, a bachelor, had fathered a child out of wedlock, Republicans chanted “Ma! Ma! Where’s my pa? Gone to the White House, Ha! Ha! Ha!” But the furor died down when Cleveland acknowledged his paternity and showed that he contributed to the child’s support. Blaine alienated a huge bloc of votes by not repudiating the Reverend Samuel Burchard, who, with Blaine in attendance, called the Democrats the party of “Rum, Romanism, and Rebellion.” Cleveland defeated Blaine by a very close margin, 4,911,017 to 4,848,334; the vote in the electoral college was 219 to 182, with New York’s 36 votes turning the tide. In 1888 the Democratic party nominated President Grover Cleveland and chose Allen G. Thurman of Ohio as his running mate, replacing Vice President Thomas Hendricks who had died in office. After eight ballots, the Republican party chose Benjamin Harrison, former senator from Indiana and the grandson of President William Henry Harrison. Levi P. Morton of New York was the vice-presidential nominee. In the popular vote for president, Cleveland won with 5,540,050 votes to Harrison’s 5,444,337. But Harrison received more votes in the electoral college, 233 to Cleveland’s 168, and was therefore elected. The Republicans carried New York, President Cleveland’s political base. The campaign of 1888 helped establish the Republicans as the party of high tariffs, which most Democrats, heavily supported by southern farmers, opposed. But memories of the Civil War also figured heavily in the election. Northern veterans, organized in the Grand Army of the Republic, had been angered by Cleveland’s veto of pension legislation and his decision to return Confederate battle flags. The Republican party in 1892 nominated President Benjamin Harrison and replaced Vice President Levi P. Morton with Whitelaw Reid of New York. The Democrats also selected the familiar: former president Grover Cleveland and Adlai E. Stevenson of Illinois. The Populist, or People’s party, fielding candidates for the first time, nominated Gen. James B. Weaver of Iowa and James G. Field of Virginia. The main difference between the Republicans and the Democrats in 1892 was their position on the tariff. The Republicans supported ever-increasing rates, whereas a substantial wing of the Democratic party pushed through a platform plank that demanded import taxes for revenue only. The Populists called for government ownership of the railroads and monetary reform, confronting these issues in a way the two major parties did not. Cleveland, avenging his defeat of 1888, won the presidency, receiving 5,554,414 popular votes to Harrison’s 5,190,801. Weaver and the Populists received 1,027,329. In the electoral college Cleveland, carrying the swing states of New York, New Jersey, Connecticut, and Indiana, garnered 277 votes to Harrison’s 145. In 1896 the Republican nominee for president was Representative William McKinley of Ohio, a “sound money” man and a strong supporter of high tariffs. His running mate was Garret A. Hobart of New Jersey. The party’s platform stressed adherence to the gold standard; western delegates bolted, forming the Silver Republican party. The Democratic party platform was critical of President Grover Cleveland and endorsed the coinage of silver at a ratio of sixteen to one. William Jennings Bryan, a former congressman from Nebraska, spoke at the convention in support of the platform, proclaiming, “You shall not crucify mankind on a cross of gold.” The enthusiastic response of the convention to Bryan’s Cross of Gold speech secured his hold on the presidential nomination. His running mate was Arthur Sewall of Maine. The Populists supported Bryan but nominated Thomas Watson of Georgia for vice president. Silver Republicans supported the Democratic nominee, and the newly formed Gold Democrats nominated John M. Palmer of Illinois for president and Simon B. Buckner of Kentucky for vice president. Bryan toured the country, stressing his support for silver coinage as a solution for economically disadvantaged American farmers and calling for a relaxation of credit and regulation of the railroads. McKinley remained at home and underscored the Republican commitment to the gold standard and protectionism. The Republican campaign, heavily financed by corporate interests, successfully portrayed Bryan and the Populists as radicals. William McKinley won, receiving 7,102,246 popular votes to Bryan’s 6,502,925. The electoral college votes were 271 to 176. Bryan did not carry any northern industrial states, and the agricultural states of Iowa, Minnesota, and North Dakota also went Republican. 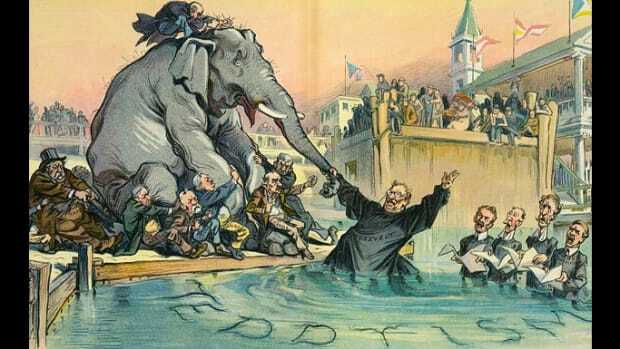 In 1900 the Republicans nominated President William McKinley. Since Vice President Garret A. Hobart had died in office, Governor Theodore Roosevelt of New York received the vice-presidential nomination. The Democratic candidates were William Jennings Bryan of Nebraska for president and Adlai E. Stevenson of Illinois for vice president. Bryan campaigned as an anti-imperialist, denouncing the country’s involvement in the Philippines. Delivering over six hundred speeches in twenty-four states, he also persisted in his crusade for the free coinage of silver. McKinley did not actively campaign, relying on the revival of the economy that had occurred during his first term. In the election McKinley won wide support from business interests. Bryan was unable to expand his agrarian base to include northern labor, which approved of McKinley’s commitment to protective tariffs. Foreign policy questions proved unimportant to most voters. McKinley was elected, receiving 7,219,530 popular votes to Bryan’s 6,358,071. In the electoral college the vote was 292 to 155. This race confirmed the popularity of Theodore Roosevelt, who had become president when McKinley was assassinated, and moved Democrats away from bimetallism and toward progressivism. Some Republicans deemed Roosevelt too liberal and flirted with nominating Marcus A. Hanna of Ohio, who had been William McKinley’s closest political adviser. But the party easily nominated Roosevelt for a term in his own right and Senator Charles Fairbanks of Indiana for vice president. Democrats divided again over gold and silver, but this time gold won out. The party nominated conservative, colorless New York Court of Appeals judge Alton Parker for president and former senator Henry Davis of West Virginia for vice president. Parker and his campaign attacked Roosevelt for his antitrust policies and for accepting contributions from big business. His having invited Booker T. Washington for a meal at the White House was also used against him. William Jennings Bryan overcame his distaste for Parker and his supporters and campaigned in the Midwest and West for the ticket. Playing down bimetallism, he stressed moving the party toward more progressive stances. Parker gained some support from the South, but Roosevelt won 7,628,461 popular votes to Parker’s 5,084,223. He carried the electoral college, 336 to 140, with only the South going Democratic. After Theodore Roosevelt declined to run for reelection in 1908, the Republican convention nominated Secretary of War William Howard Taft for president and Representative James Schoolcraft Sherman of New York as his running mate. The Democrats chose William Jennings Bryan for president for the third time; his running mate was John Kern of Indiana. The predominant campaign issue was Roosevelt. His record as a reformer countered Bryan’s reformist reputation, and Taft promised to carry on Roosevelt’s policies. Business leaders campaigned for Taft. In the election Taft received 7,679,006 popular votes to Bryan’s 6,409,106. Taft’s margin in the electoral college was 321 to 162. In 1912, angered over what he felt was the betrayal of his policies by his hand-picked successor, President William Howard Taft, former president Theodore Roosevelt sought the Republican nomination. 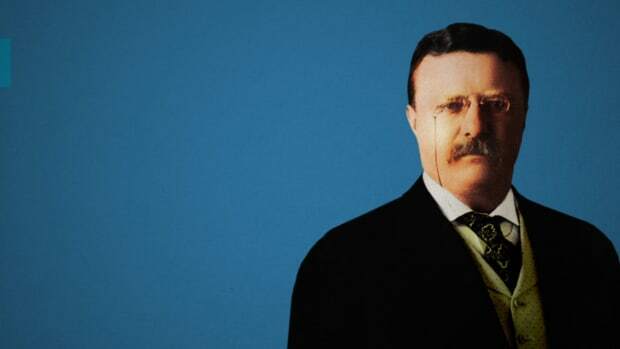 When the party chose Taft and Vice President James Sherman at the convention, Roosevelt bolted and formed the Progressive party, or Bull Moose party. His running mate was Governor Hiram Johnson of California. After forty-six ballots the Democratic convention nominated New Jersey governor Woodrow Wilson for president and Thomas R. Marshall of Indiana for vice president. For the fourth time the Socialist party nominated Eugene V. Debs for president. During the campaign Roosevelt and Wilson attracted most of the attention. They offered the voters two brands of progressivism. Wilson’s New Freedom promoted antimonopoly policies and a return to small-scale business. Roosevelt’s New Nationalism called for an interventionist state with strong regulatory powers. In the election Wilson received 6,293,120 to Roosevelt’s 4,119,582, Taft’s 3,485,082, and nearly 900,000 for Debs. In the electoral college Wilson’s victory was lopsided: 435 to 88 for Roosevelt and 8 for Taft. The combined vote for Taft and Roosevelt indicated that if the Republican party had not split, they would have won the presidency; the total cast for Wilson, Roosevelt, and Debs spoke to the people’s endorsement of progressive reform. In 1916 the Progressive party convention tried to nominate Theodore Roosevelt again, but Roosevelt, seeking to reunify the Republicans, convinced the convention to support the Republican choice, Associate Justice Charles Evans Hughes. The Republicans selected Charles Fairbanks of Indiana as Hughes’s running mate, but the Progressives nominated John M. Parker of Louisiana for vice president. The Democrats renominated President Woodrow Wilson and Vice President Thomas R. Marshall. The Democrats stressed the fact that Wilson had kept the nation out of the European war, but Wilson was ambiguous about his ability to continue to do so. The election was close. Wilson received 9,129,606 votes to Hughes’s 8,538,221. Wilson also obtained a slim margin in the electoral college, winning 277 to 254. After a generation of progressive insurgency within the Republican party, it returned in 1920 to a conservative stance. The party’s choice for president was Senator Warren G. Harding of Ohio, a political insider. Governor Calvin Coolidge of Massachusetts, best known for his tough handling of the Boston police strike of 1919, was the vice-presidential nominee. The Democratic party nominated James M. Cox, governor of Ohio, and Franklin D. Roosevelt of New York, assistant secretary of the navy in the Wilson administration. Democratic chances were weakened by President Woodrow Wilson’s having suffered a stroke in 1919 and his failure to obtain ratification of the League of Nations treaty. The Socialist party nominated Eugene V. Debs, imprisoned for his opposition to World War I, and Seymour Stedman of Ohio. Harding’s victory was decisive: 16,152,200 popular votes to Cox’s 9,147,353. In the electoral college only the South went for Cox. Harding won by 404 to 127. Although still in prison, Debs received more than 900,000 votes. The Republican nominees for president and vice president in 1924 were President Calvin Coolidge and Charles G. Dawes of Illinois. President Warren G. Harding had died in 1923. Disaffected progressive Republicans met under the auspices of the Conference for Progressive Political Action and nominated Robert M. La Follette for president. The new Progressive party chose Senator Burton K. Wheeler of Montana for vice president. The platform called for higher taxes on the wealthy, conservation, direct election of the president, and the ending of child labor. In choosing their candidates the Democrats were faced with polar opposites. Alfred E. Smith of New York was the epitome of the urban machine politician, and he was also Catholic; William G. McAdoo was a Protestant popular in the South and West. A deadlock developed; on the 103rd ballot the delegates finally settled on John W. Davis, a corporation lawyer, and Charles W. Bryan of Nebraska, the brother of William Jennings Bryan. The Republicans won easily; Coolidge’s popular vote, 15,725,016, was greater than that of Davis, 8,385,586, and La Follette, 4,822,856, combined. Coolidge received 382 electoral votes to Davis’s 136. La Follette carried only his home state, Wisconsin, with 13 electoral votes. The Republican presidential nominee in 1928 was Secretary of Commerce Herbert Hoover of California. Charles Curtis of Kansas was his running mate. The Democrats nominated Alfred E. Smith, governor of New York, and Senator Joseph T. Robinson of Arkansas. The election produced a high voter turnout. The Republicans swept the electoral college, 444 to 87, and Hoover’s popular majority was substantial: 21,392,190 to Smith’s 15,016,443. The Democrats, however, carried the country’s twelve largest cities; the support for Smith in urban America heralded the major political shift to come. In 1932, the third year of the Great Depression, the Republican party nominated President Herbert Hoover and Vice President Charles Curtis. Although Hoover had tried to respond to the crisis, his belief in voluntarism limited his options. The Democratic party nominated Franklin D. Roosevelt, the governor of New York, for president and Senator John Nance Garner of Texas for vice president. The platform called for the repeal of Prohibition and a reduction in federal spending. During the campaign Hoover defended his record, his commitment to a balanced budget, and the gold standard–a backward-looking stance, given that the number of unemployed stood at 13 million. Roosevelt made few specific proposals, but his tone and demeanor were positive and forward-looking. The Democrats won the election in a landslide. Roosevelt received 22,809,638 popular votes to the president’s 15,758,901 and took the electoral college by 472 votes to 59. The voters’ rejection of Hoover and his party extended to both houses of Congress, which the Democrats now controlled. In 1936 the Democratic party nominated President Franklin D. Roosevelt and Vice President John Nance Garner. The Republican party, strongly opposed to the New Deal and “big government,” chose Governor Alfred M. Landon of Kansas and Fred Knox of Illinois. The 1936 presidential campaign focused on class to an unusual extent for American politics. Conservative Democrats such as Alfred E. Smith supported Landon. Eighty percent of newspapers endorsed the Republicans, accusing Roosevelt of imposing a centralized economy. Most businesspeople charged the New Deal with trying to destroy American individualism and threatening the nation’s liberty. But Roosevelt appealed to a coalition of western and southern farmers, industrial workers, urban ethnic voters, and reform-minded intellectuals. African-American voters, historically Republican, switched to fdr in record numbers. In a referendum on the emerging welfare state, the Democratic party won in a landslide–27,751,612 popular votes for fdr to only 16,681,913 for Landon. The Republicans carried two states–Maine and Vermont–for 8 electoral votes; Roosevelt received the remaining 523. The unprecedented success of fdr in 1936 marked the beginning of a long period of Democratic party dominance. In 1940 President Franklin D. Roosevelt won an unprecedented third term by a margin of nearly 5 million: 27,244,160 popular votes to Republican Wendell L. Willkie’s 22,305,198. The president carried the electoral college, 449 to 82. The new vice president was Secretary of Agriculture Henry A. Wallace, chosen by the Democrats to replace the two-term vice president John Nance Garner who no longer agreed with Roosevelt about anything. Charles A. McNary was the Republican candidate for vice president. The major issue facing the American people in 1940 was World War II. This fact had determined the Republican choice of Willkie, who was a liberal internationalist running as the candidate of a conservative isolationist party. Although Willkie did not disagree with Roosevelt on foreign policy, the country chose to stay with an experienced leader. By the beginning of 1944, in the middle of World War II, it was clear that President Franklin D. Roosevelt planned to run for a fourth term, and this shaped the coming campaign. Democratic party regulars disliked Vice President Henry A. Wallace; eventually they persuaded Roosevelt to replace him with Senator Harry S. Truman of Missouri.Although Wendell Willkie, the nominee in 1940, was initially the front-runner in the Republican race, the party returned to its traditional base, choosing conservative governor Thomas E. Dewey of New York. Republicans had hoped that Governor Earl Warren of California would accept the vice-presidential nomination, but he declined. The party then turned to John W. Bricker. The president won reelection with results that were similar to those of 1940: 25,602,504 people voted for Roosevelt and Truman, and 22,006,285 voters gave their support to Dewey. The electoral vote was 432 to 99. Franklin D. Roosevelt was the issue in 1944: his health–the sixty-two-year-old suffered from heart disease and high blood pressure–his competence as an administrator, and his stand on communism and the shape of the postwar world. At issue also was whether any president should serve four terms. The Democrats and the president were vulnerable on all these points, but the American people once again chose the familiar in a time of crisis: “Don’t change horses in midstream” was a familiar slogan in the campaign. President Harry S. Truman, who had succeeded President Roosevelt after his death in 1945, stood for reelection on the Democratic ticket with Alben Barkley of Kentucky as his running mate. When the Democratic convention adopted a strong civil rights plank, southern delegates walked out and formed the States’ Rights party. The Dixiecrats, as they were called, nominated Governor Strom Thurmond of South Carolina for president and Fielding Wright for vice president. A new left-leaning Progressive party nominated former vice president Henry A. Wallace of Iowa for president with Glen Taylor, a senator from Idaho, as his running mate. The Republican slate consisted of two prominent governors: Thomas E. Dewey of New York and Earl Warren of California. Although polls and conventional wisdom predicted a Dewey victory, Truman campaigned vigorously as the underdog, making a famous whistle-stop tour of the country aboard a special train. Results were uncertain to the last minute. A well-known photograph shows Truman the day after the election smiling broadly and holding aloft a newspaper with the headline dewey wins! The paper was wrong: Truman had received 24,105,812 popular votes, or 49.5 percent of the total; Dewey, 21,970,065, or 45.1 percent. Thurmond and Wallace each received about 1.2 million votes. The Democratic victory in the electoral college was more substantial: Truman beat Dewey 303 to 189; Thurmond received 39 votes, and Wallace none. When President Harry S. Truman declined to run for a third term, the Democratic convention nominated Governor Adlai E. Stevenson of Illinois for president on the third ballot. Senator John Sparkman of Alabama was chosen as his running mate. The Republican fight for the nomination was a conflict between the isolationists, represented by Senator Robert Taft of Ohio, and the more liberal internationalists, who backed World War II general Dwight D. Eisenhower, then president of Columbia University. Eisenhower won the nomination. Richard M. Nixon, an anticommunist senator from California, was the vice-presidential candidate. Popular discontent with Truman’s handling of the Korean War, charges of corruption in his administration, an inflationary economy, and a perceived communist threat worked against Stevenson. He was also confronted with Eisenhower’s immense personal popularity–i like ike! the campaign buttons proclaimed–and the voters’ belief that he would swiftly end the war. A scandal regarding Nixon’s campaign fund threatened briefly to cost him his place on the ticket. But an emotional speech he delivered on television featuring his wife’s “good Republican cloth coat” and his dog, Checkers, saved him. Eisenhower’s victory was the largest of any candidate’s to that time: he received 33,936,234 popular votes and 442 electoral votes to Stevenson’s 27,314,992 popular votes and 89 electoral votes. Despite suffering a heart attack and abdominal surgery during his first term, President Dwight D. Eisenhower was nominated by the Republicans for a second term without opposition. Although Richard M. Nixon had been a controversial vice president and many Republicans felt he was a liability, he was also renominated. For the second time the Democrats chose former governor Adlai E. Stevenson of Illinois; his running mate was Estes Kefauver of Tennessee. Foreign policy dominated the campaign. Eisenhower claimed responsibility for the country’s being prosperous and at peace; Stevenson proposed ending the draft and halting nuclear testing. The Suez Canal crisis, occurring in the final weeks of the campaign, created a sense of emergency, and the country responded by voting strongly against change. Eisenhower won with 35,590,472 votes to Stevenson’s 26,022,752. His margin was 457 to 73 in the electoral college. In 1960 the Democratic party nominated John F. Kennedy, a senator from Massachusetts, for president. Senator Lyndon B. Johnson of Texas was his running mate. The Republicans nominated Vice President Richard M. Nixon to succeed Dwight D. Eisenhower, who was prohibited from running for a third term by the recently adopted Twenty-second Amendment. The Republican nominee for vice president was Senator Henry Cabot Lodge, Jr., of Massachusetts. Although much of the campaign centered on style rather than substance, Kennedy stressed what he claimed was a “missile gap” between the United States and the Soviet Union. Kennedy was Catholic, and though religion was not a major issue, it had considerable influence on many voters. Kennedy won the presidency by a popular margin of less than 120,000, receiving 34,227,096 votes to Nixon’s 34,107,646. The race was not as close in the electoral college where Kennedy got 303 votes to Nixon’s 219. Kennedy was the first Catholic and the youngest person to be elected president. The Democrats nominated Lyndon B. Johnson who had succeeded to the presidency upon the assassination of President John F. Kennedy. Johnson, the first president from the South since Andrew Johnson, had been Democratic leader of the Senate. Senator Hubert H. Humphrey of Minnesota, a longtime liberal, was nominated as Johnson’s running mate. The Republicans chose Senator Barry Goldwater of Arizona for president and Congressman William E. Miller of New York for vice president. In the campaign, conducted in the midst of the escalating Vietnam War, Goldwater, an ultraconservative, called for the bombing of North Vietnam and implied that the Social Security system should be dismantled. President Johnson campaigned on a platform of social reform that would incorporate Kennedy’s New Frontier proposals. Despite the country’s deepening involvement in Vietnam, the president also campaigned as the candidate of peace against the militaristic Goldwater. Johnson won a decisive victory, polling 43,128,958 popular votes to 27,176,873 for Goldwater. In the electoral college he received 486 votes to Goldwater’s 52. The Vietnam War, the civil rights movement, and protests tied to both combined in a tumultuous year to cause a tight, unusual election closely linked to these issues. Opposition to the war moved Senator Eugene McCarthy of Minnesota to enter the Democratic race, followed by Senator Robert F. Kennedy of New York, both with strong support from liberal constituencies. On March 31, 1968, in the wake of the Tet offensive, President Lyndon B. Johnson announced that he would not seek reelection. This prompted Vice President Hubert H. Humphrey to announce his candidacy. Kennedy won the California primary, but immediately thereafter, he was assassinated by Sirhan Sirhan. Humphrey then pulled ahead and was nominated for president, with Senator Edmund Muskie of Maine for vice president. The party convention in Chicago was marred by bloody clashes between antiwar protesters and the local police. In comparison, the Republican race was less complicated. Former vice president Richard M. Nixon completed his political comeback by winning the presidential nomination. He chose Governor Spiro Agnew of Maryland as his running mate. The conservative American Independent party nominated Governor George Wallace of Alabama, a segregationist, for president, and Air Force general Curtis LeMay of Ohio, who advocated using nuclear weapons in Vietnam, for vice president. Nixon campaigned for law and order and said he had a “secret plan” to end the war. Wallace was highly critical of Supreme Court decisions that had broadened the Bill of Rights and of Great Society programs to rebuild the inner cities and enforce civil rights for blacks. Humphrey supported most of Johnson’s policies, but late in the campaign he announced he would seek to end American involvement in Vietnam. It was not quite enough to overcome Nixon’s lead in the polls. Nixon received 31,710,470 popular votes to 30,898,055 for Humphrey and 9,466,167 for Wallace. Nixon’s victory in the electoral college was wider: 302 to 191 for Humphrey and 46 for Wallace, the latter from the South. In 1972 the Republicans nominated President Richard M. Nixon and Vice President Spiro Agnew. The Democrats, still split over the war in Vietnam, chose a presidential candidate of liberal persuasion, Senator George McGovern of South Dakota. Senator Thomas F. Eagleton of Missouri was the vice-presidential choice, but after it was revealed that he had once received electric shock and other psychiatric treatments, he resigned from the ticket. McGovern named Sargent Shriver, director of the Peace Corps, as his replacement. The campaign focused on the prospect of peace in Vietnam and an upsurge in the economy. Unemployment had leveled off and the inflation rate was declining. Two weeks before the November election, Secretary of State Henry Kissinger predicted inaccurately that the war in Vietnam would soon be over. During the campaign, a break-in occurred at Democratic National Headquarters in the Watergate complex in Washington, D.C., but it had little impact until after the election. The campaign ended in one of the greatest landslides in the nation’s history. Nixon’s popular vote was 47,169,911 to McGovern’s 29,170,383, and the Republican victory in the electoral college was even more lopsided–520 to 17. Only Massachusetts gave its votes to McGovern. 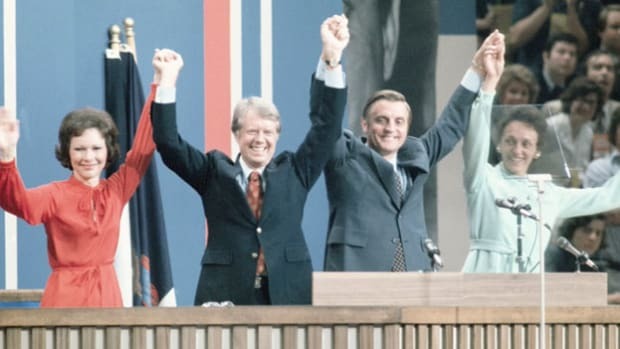 In 1976 the Democratic party nominated former governor Jimmy Carter of Georgia for president and Senator Walter Mondale of Minnesota for vice president. The Republicans chose President Gerald Ford and Senator Robert Dole of Kansas. Richard M. Nixon had appointed Ford, a congressman from Michigan, as vice president to replace Spiro Agnew, who had resigned amid charges of corruption. Ford became president when Nixon resigned after the House Judiciary Committee voted three articles of impeachment because of his involvement in an attempted cover-up of the politically inspired Watergate break-in. In the campaign, Carter ran as an outsider, independent of Washington, which was now in disrepute. Ford tried to justify his pardoning Nixon for any crimes he might have committed during the cover-up, as well as to overcome the disgrace many thought the Republicans had brought to the presidency. Carter and Mondale won a narrow victory, 40,828,587 popular votes to 39,147,613 and 297 electoral votes to 241. The Democratic victory ended eight years of divided government; the party now controlled both the White House and Congress. In 1980 President Jimmy Carter was opposed for the Democratic nomination by Senator Edward Kennedy of Massachusetts in ten primaries. But Carter easily won the nomination at the Democratic convention. The party also renominated Walter Mondale for vice president. Ronald Reagan, former governor of California, received the Republican nomination, and his chief challenger, George Bush, became the vice-presidential nominee. Representative John B. Anderson of Illinois, who had also sought the nomination, ran as an independent with Patrick J. Lucey, former Democratic governor of Wisconsin, as his running mate. The two major issues of the campaign were the economy and the Iranian hostage crisis. President Carter seemed unable to control inflation and had not succeeded in obtaining the release of American hostages in Tehran before the election. Reagan won a landslide victory, and Republicans also gained control of the Senate for the first time in twenty-five years. Reagan received 43,904,153 popular votes in the election, and Carter, 35,483,883. Reagan won 489 votes in the electoral college to Carter’s 49. John Anderson won no electoral votes, but got 5,720,060 popular votes. In 1984 the Republicans renominated Ronald Reagan and George Bush. Former vice president Walter Mondale was the Democratic choice, having turned aside challenges from Senator Gary Hart of Colorado and the Reverend Jesse Jackson. Jackson, an African-American, sought to move the party to the left. Mondale chose Representative Geraldine Ferraro of New York for his running mate. This was the first time a major party nominated a woman for one of the top offices. Peace and prosperity, despite massive budget deficits, ensured Reagan’s victory. Gary Hart had portrayed Mondale as a candidate of the “special interests,” and the Republicans did so as well. Ferraro’s nomination did not overcome a perceived gender gap–56 percent of the women voting chose Reagan. Reagan won a decisive victory, carrying all states except Minnesota, Mondale’s home state, and the District of Columbia. He received 54,455,074 popular votes to Mondale’s total of 37,577,185. In the electoral college the count was Reagan, 525, and Mondale, 13. Although Vice President George Bush faced some opposition in the primaries from Senator Robert Dole of Kansas in 1988, he won the Republican nomination by acclamation. He chose Senator Dan Quayle of Indiana as his running mate. The Democrats nominated Michael Dukakis, governor of Massachusetts, for president and Senator Lloyd Bentsen of Texas for vice president. Dukakis had faced strong competition in the primaries, including the Reverend Jesse Jackson and Senator Gary Hart of Colorado. Hart withdrew from the race following revelations about an extramarital affair, and party regulars and political pundits perceived Jackson, a liberal and an African-American, as unlikely to win the general election. Once again the Republicans were in the enviable situation of running during a time of relative tranquillity and economic stability. After a campaign featuring controversial television ads, Bush and Quayle won 48,886,097 popular votes to 41,809,074 for Dukakis and Bentsen and carried the electoral college, 426 to 111. In 1991 incumbent President George H. W. Bush’s approval ratings reached 88 percent, the highest in presidential history up to that point. But by 1992, his ratings had sunk, and Bush became the fourth sitting U.S. president to lose re-election. In the summer of 1992 Ross Perot led the polls with 39 percent of voter support. Although Perot came in a distant third, he was still the most successful third-party candidate since Theodore Roosevelt in 1912. Although Clinton won a decisive victory, he carried a mere four Southern states, signaling a decline in Southern support for Democrats who historically could count on the area as an electoral stronghold. Later, in the elections of 2000 and 2004, Democrats did not carry a single Southern state. The 1996 election was the most lavishly funded up to that point. The combined amount spent by the two major parties for all federal candidates topped $2 billion, which was 33 percent more than what was spent in 1992. During this election the Democratic National Committee was accused of accepting donations from Chinese contributors. Non-American citizens are forbidden by law from donating to U.S. politicians, and 17 people were later convicted for the activity. The 2000 election was the fourth election in U.S. history in which the winner of the electoral votes did not carry the popular vote. It was the first such election since 1888, when Benjamin Harris became president after winning more electoral votes but losing the popular vote to Grover Cleveland. Gore conceded on election night but retracted his concession the next day when he learned that the vote in Florida was too close to call. Florida began a recount, but the U.S. Supreme Court eventually ruled the recount unconstitutional. Political activist Ralph Nader ran on the Green Party ticket and captured 2.7 percent of the vote. Total voter turnout for the 2004 presidential election numbered at about 120 million, an impressive 15 million increase from the 2000 vote. 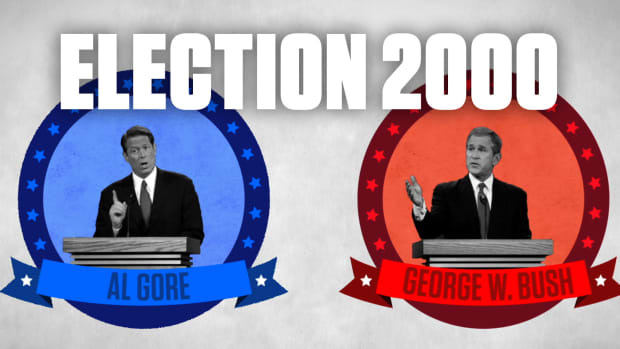 After the bitterly contested election of 2000, many were poised for a similar election battle in 2004. Although there were reported irregularities in Ohio, a recount confirmed the original vote counts with nominal differences that did not affect the final outcome. Former Vermont governor Howard Dean was the expected Democratic candidate but lost support during the primaries. There was speculation that he sealed his fate when he let out a deep, guttural yell in front of a rally of supporters, which became known as the “I Have a Scream” speech, because it was delivered on Martin Luther King Day. In this historic election, Barack Obama became the first African-American to become president. With the Obama/Biden win, Biden became the first-ever Roman Catholic vice president. Had the McCain/Palin ticket won, John McCain would have been the oldest president in history, and Sarah Palin would have been the first woman vice president. Romney, the first Mormon to receive a major party’s nomination, fought off a number of Republican challengers in the primary, while the incumbent Obama faced no intra-party challenges. 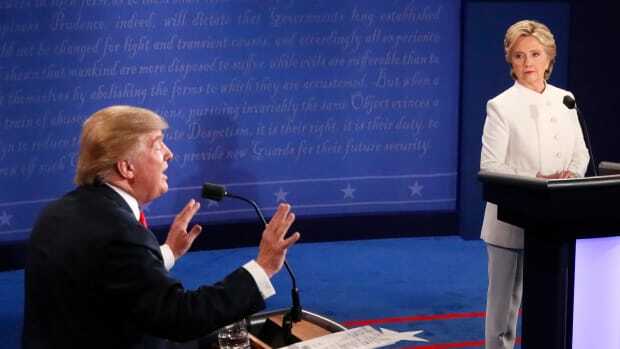 The election, the first waged following the “Citizens United” Supreme Court decision that allowed for increased political contributions, cost more than $2.6 billion, with the two major party candidates spending close to $1.12 billion that cycle. Popular Vote: 65,915,795 (Obama) to 60,933,504 (Romney). Electoral College: 332 (Obama) to 206 (Romney). The 2016 election was unconventional in its level of divisiveness. Former first lady, New York Senator and Secretary of State Hillary Rodham Clinton became the first woman to be nominated for a major party in a U.S. presidential election. Donald J. Trump, a New York real estate baron and reality TV star, was quick to mock fellow Republicans running for the nomination as well as his democratic opponent. In what many political analysts considered a stunning upset, Trump, with his populist, nationalist campaign, lost the popular vote, but won the Electoral College, becoming the nation&apos;s 45th president. Popular Vote: 65,853,516 (Clinton) to 62,984,825 (Trump). Electora College: 306 (Trump) to 232 (Clinton).